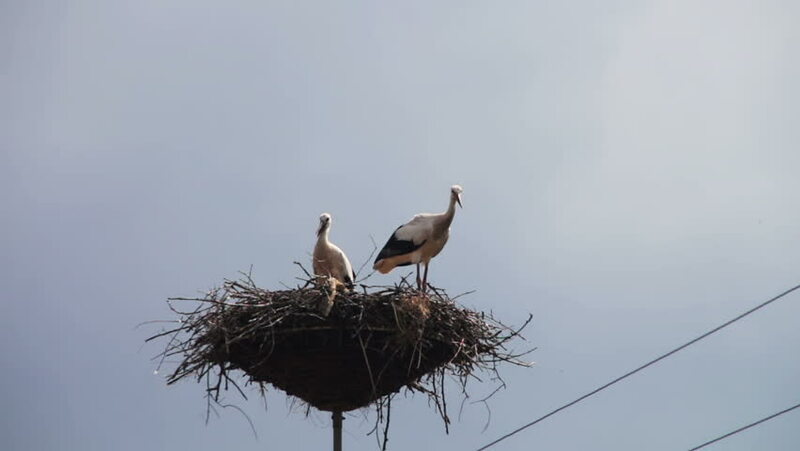 4k00:29Ungraded: White stork in nest on the power line column opens its beak in rays of sunset. Ungraded H.264 from camera without re-encoding. hd00:21White Stork (Ciconia ciconia) makes comfortable nest on water tower top against empty sky background. Ugra National Park, Kaluzhsky region, Russia.